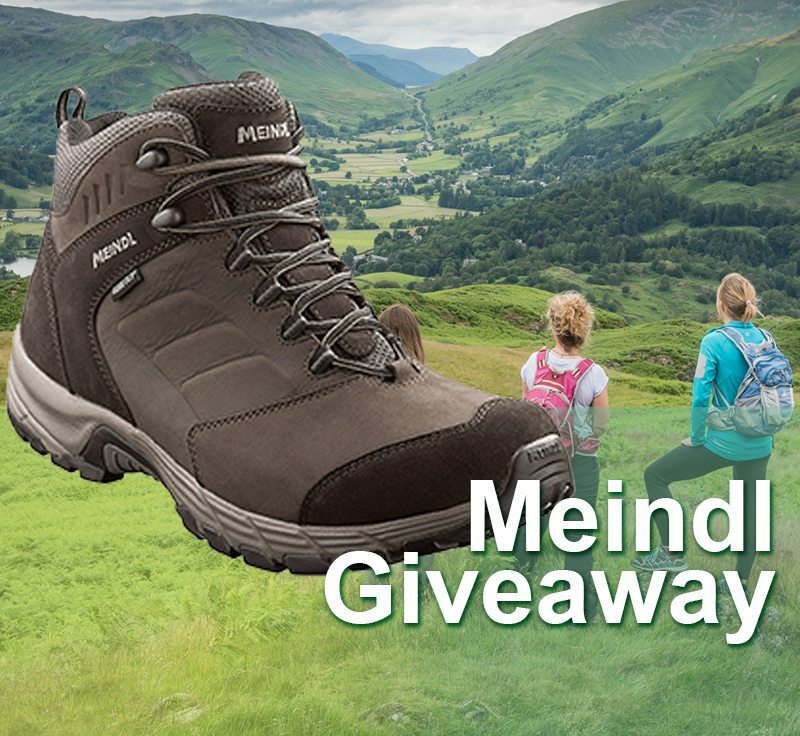 We are giving away 2 pairs of the fabulous Vitalis Mid GTX from Meindl, one men’s and one women’s pair. An ideal boot for tackling the Camino de Santiago, the Vitalis is also waterproof, thanks to its GoreTex liner plus super comfortable with a Meindl Comfort Fit last. For your chance to win, read on and answer a simple multiple choice question. The Meindl Vitalis is part of the Meindl comfort fit range of footwear with a wider than standard Meindl fit and a comfort sport sole with soft flexibility. Other models in the Meindl comfort fit range include the Rapide, the Journey, the Meran, the Trento and the Guffert. Full terms and conditions The following are the terms and conditions of the Great OutdoorsMeindl Vitalis Boot Giveaway 2017. Your participation in the competition shall be deemed to be your complete acceptance of the terms and conditions herein. •The winners will be announced via social media channels on Wednesday, May 3rd. •Closing date for all entries is midnight on Sunday, April 30th 2017.